The one area in my home that I will admit I struggle with is the TV wall in our living room. Rarely if ever, will I show it on my blog. Why? Because my tv is sitting on an old, recycled desk, backed by a boring, blank wall. My living room is beautiful and I’m so proud of how it has slowly come together over the years, but the dang TV wall…. uhg. There has to be a way to make a TV wall look just as beautiful, stylish and chic as the rest of the room. When in doubt, I turn to my trusted bloggy decor girlfriends for their advice. My girls came through and gave me their examples of Beautiful and Creative Ways to Decorate Your TV Wall! I really hope you are as inspired as I was by seeing all their creativity! PS- This topic is one of the top inquiries I receive from readers asking. I hope this blog post helps all of you! Sara from Twelve on Main was simply brilliant! She was struggling just as I was with what to do with our ugly tv’s and she came up with this beautiful, rustic wood decorative frame for her TV! 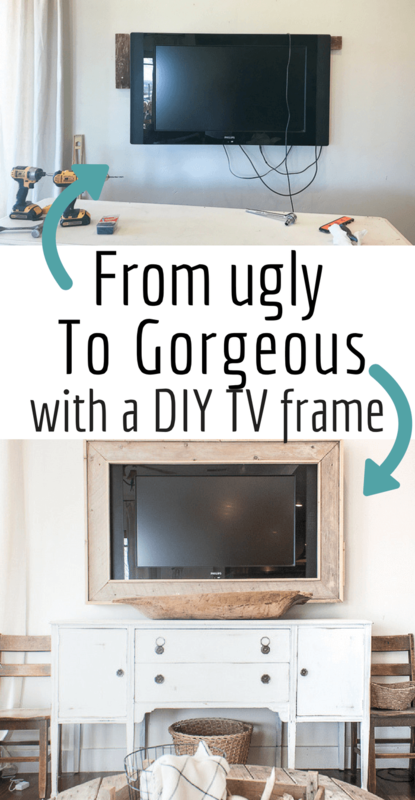 Her tutorial is fabulous and wow, has this transformed her tv wall! Go check out here tutorial. 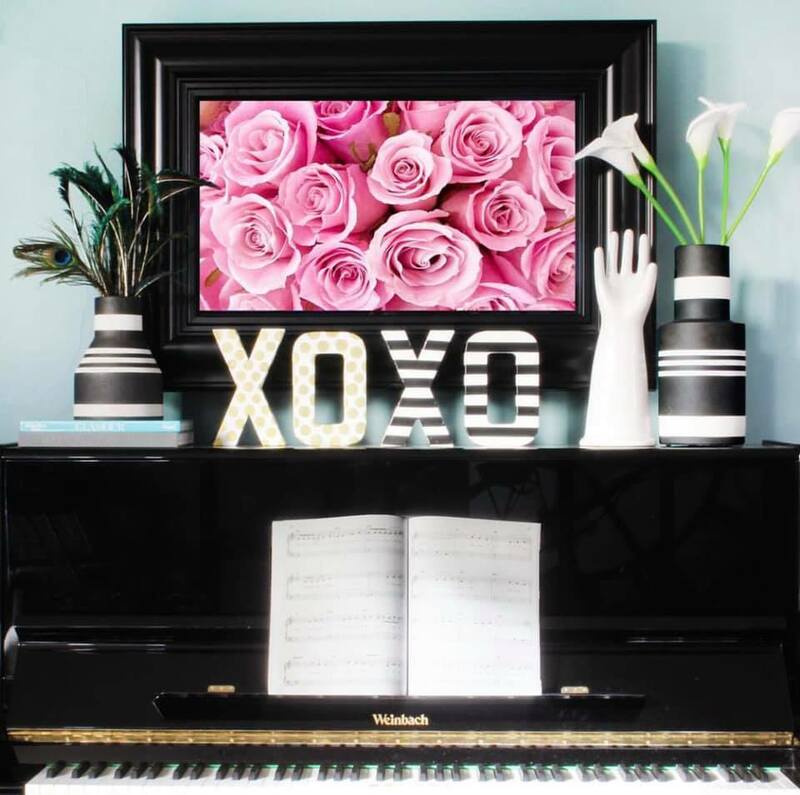 Angela of Blue i Style framed her Apple TV and placed it above the piano, which is their main TV viewing area in her home. When entertaining she programs beautiful works of art to the screen. Who would ever guess that that was a TV? So lovely! 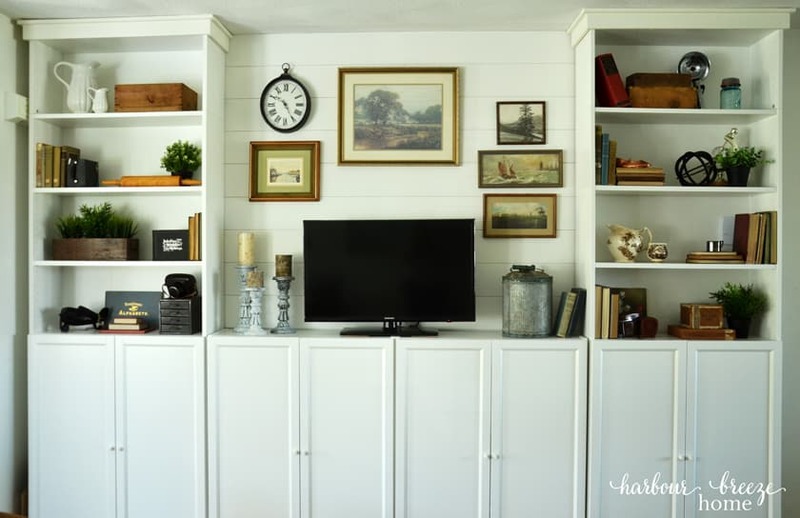 Bre of Rooms for Rent created a neutral and rustic gallery wall behind the TV. The black and white photos accent the black of the tv while the wood frames coordinate with the beautiful TV stand, creating a soft and cohesive look. Talk about gorgeous gallery walls! Ananda from A Piece of Rainbow has the new Samsung Frame TV and it looks like a gorgeous painting! I hope to save up to buy this TV for our home. She switches out the artwork surrounding the TV to complement each season. So pretty! Head over to her blog to see all the seasonal changes she creates. 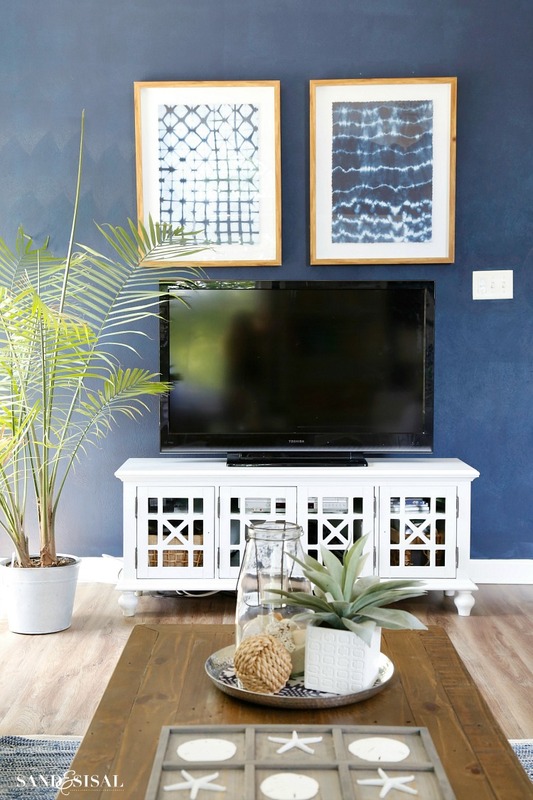 Kim from Tidbits and Twine created a beautiful French farmhouse gallery wall around the TV with balance, symmetry and texture. I appreciate the balance and color pattern that she has set up here. 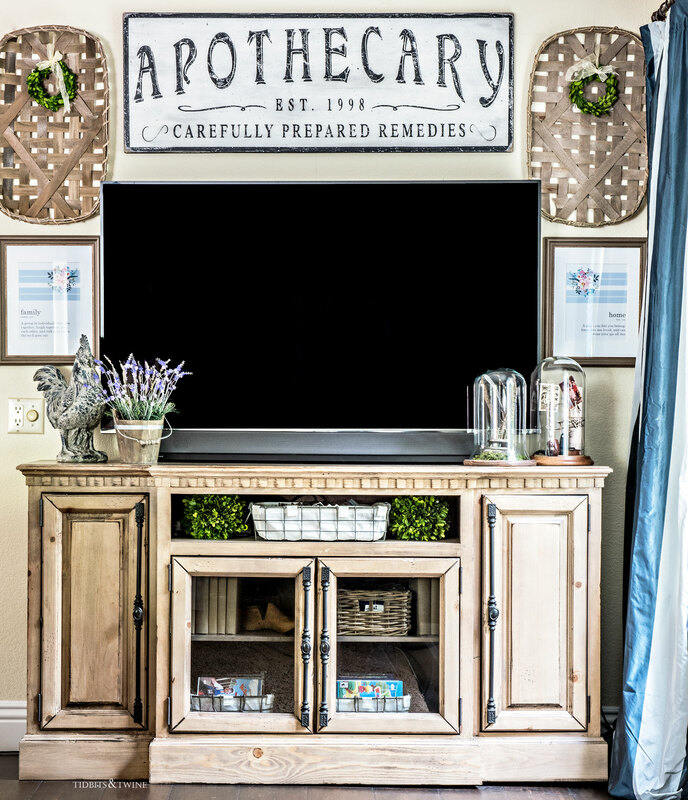 The large black and white apothecary sign help bring focus above the TV and the antique tobacco baskets add texture and complement the beautiful media cabinet. Small touches of glass and airy accents bring the whole look together. Jenna from Rain on a Tin Roof created this stunning symmetrical black and white gallery wall in her family room with colorful graphic prints. The TV disappears against the black wall and leaves you with a feeling of walking into an art gallery! The eye is naturally directed to focus upon the artwork vs. the tv. Bravo Jenna! 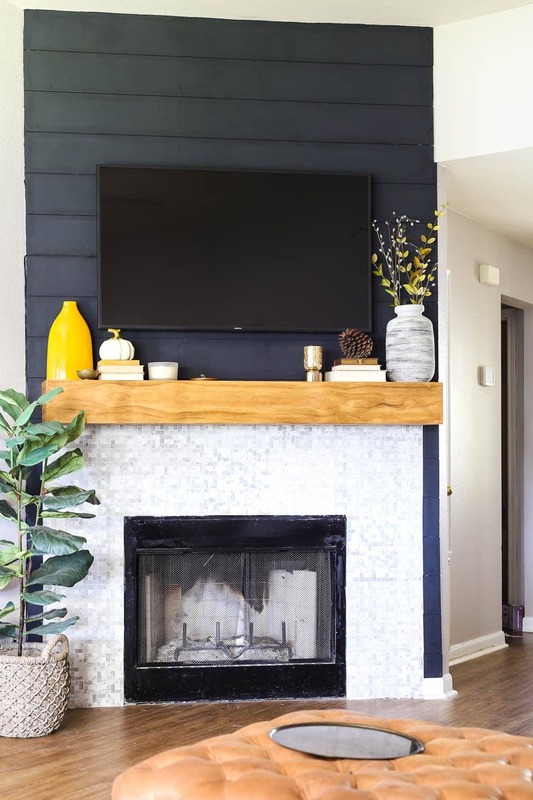 Amanda from Love & Renovations cleverly hid her TV by installing beautiful shiplap and painting it black. The look is gorgeous and highlights the new fireplace and wood beam mantel. 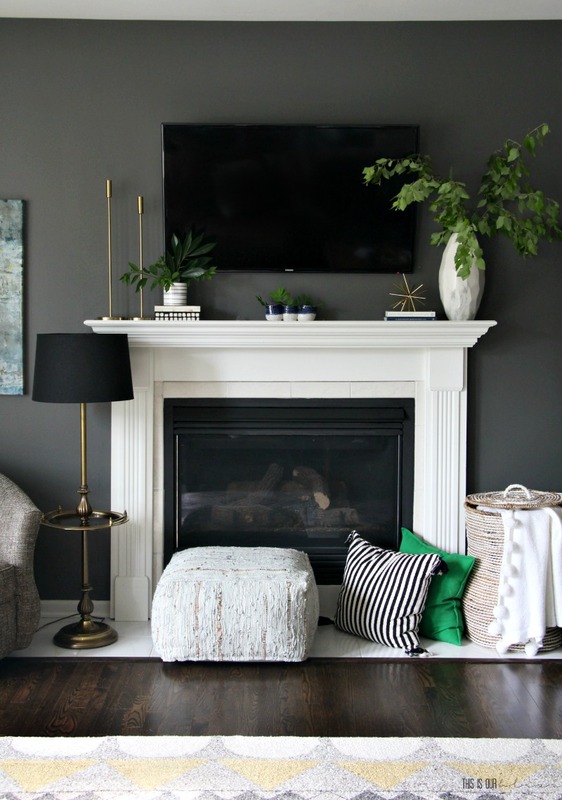 Rachael from This is Our Bliss also camouflages her TV by painting the wall with a gorgeous deep slate shade. Her modern and organic decor instantly becomes the focus of the space. Beth of Home Stories A to Z (who happens to also be my little sister) needed a cozy and attractive space for their family’s media room. 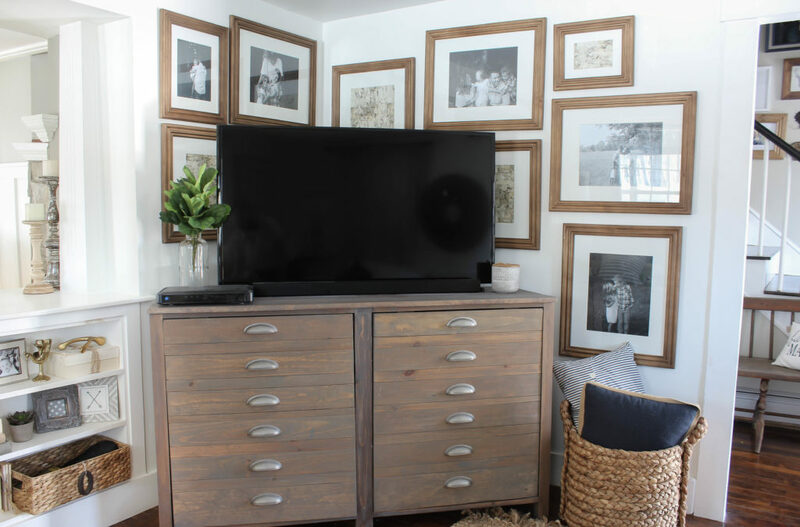 She and her hubs built this gorgeous modern farmhouse media center from stock cabinetry. You have got to see the before pics! Great job sis! Now you see it, now you don’t! If you want to hide your tv from view then you need to check this one out! 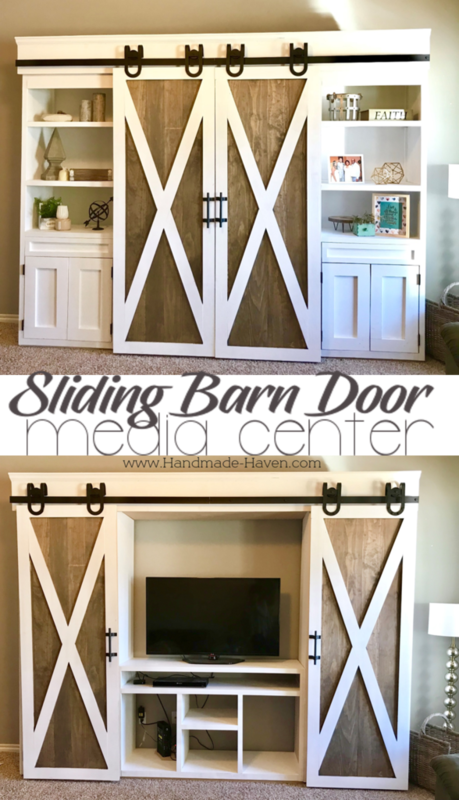 Ashley from Handmade Haven built this amazing Sliding Barn Door Media Center. She has step by step plans on how to build one yourself. 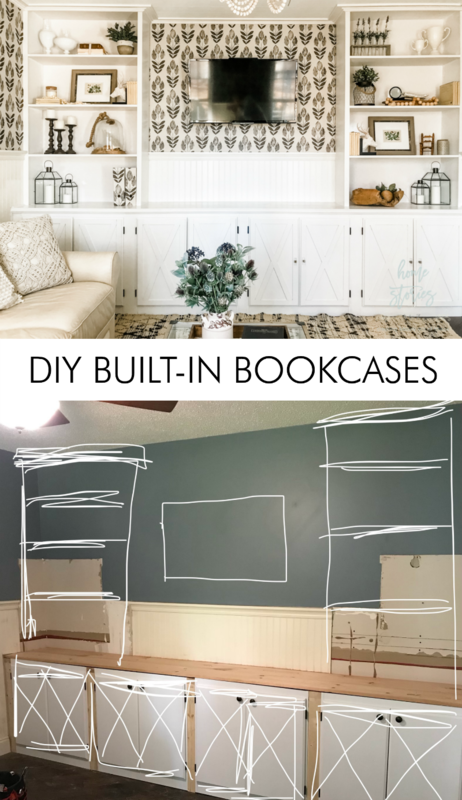 Beef up some standard IKEA Billy bookcases with Craftsman style trim and build an amazing modern farmhouse entertainment center! Rita Joy of Harbour Breeze Home will walk you through how she did it! I hope you are inspired by all of these women’s creativity that they have implemented in their own homes. If you have a beautiful TV wall I would LOVE to see it! Please feel free to share it in the comments below or send it to me via email sandandsisal@gmail.com . WOW! These ideas are all so amazing! Thanks for sharing and inspiring me again! Amy at Homeyohmy has a tv, Samsung, that displays art when not in use. When I buy a tv, it will most likely have that feature– showing artwork when not in use.